Torah Study is the study by Jewish people of the Torah, Hebrew Bible, Talmud, responsa, and rabbinic literature all of which are Judaism's religious texts. Ideally within Judaism it is done for the purpose of the mitzvah ("commandment") of Torah study itself and similar works, all of which are Judaism's texts. This practice is present to an extent in all branches of Judaism and is considered of paramount importance among traditional Jews. 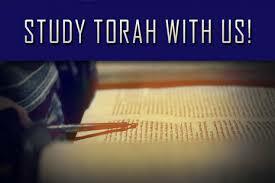 Torah study has evolved over the generations, as lifestyles changed and also as new texts were written. Held in The Sidney Feinstein Beit Midrash, our weekly Shabbat Morning Parsha Study group meets with Susan Werk, and an occasional guest teacher, to study the weekly Torah Portion. There is hidden meaning and learning within each parsha. Our active, engaged group of adults dissects the words searching for the true meaning of the text, and often applying it to our everyday lives. Another way to connect to our kehillah, we invite you to join us for a friendly, delightful and most insightful study session each Shabbat morning from 9:00-10:00 am for some stimulating conversation, and a cup of coffee! Learn Torah reading, trope (cantillation), structure, and how to follow the Torah readings as well as basic meanings of selected passages. You will also be able to read a portion on your own during services. A basic knowledge of Hebrew reading is required. Instructor Nancy Caplan, a vibrant part of our religious school, is the Torah Teacher for children and adults echoing the theme of 'Every Age and Every Stage'. Nancy is married to none other than our very own Cantor Joel Caplan, and is never too busy to teach this mitzvah. Jewish Second Temple Literature discussion/class lead by Phil Kruger. This is held every week, unless there is a scheduled lunch and learn and starting one half hour after the services end kiddush begins. Anyone can join at any time! We hope you will join us for Torah! For additional information or to register for any of these programs please email Susan Werk.